«Technology of success» — a series of interviews with leaders of the most ambitious IT companies in the country. 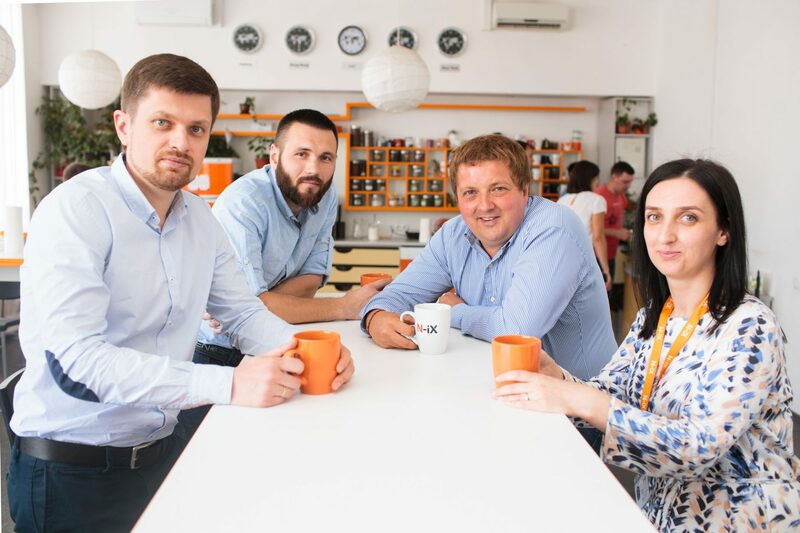 Throughout the year, together with Lviv IT Cluster, we will tell you about entrepreneurs and heads of tech companies in Ukraine, trying to better understand the people who are driving the country forward. 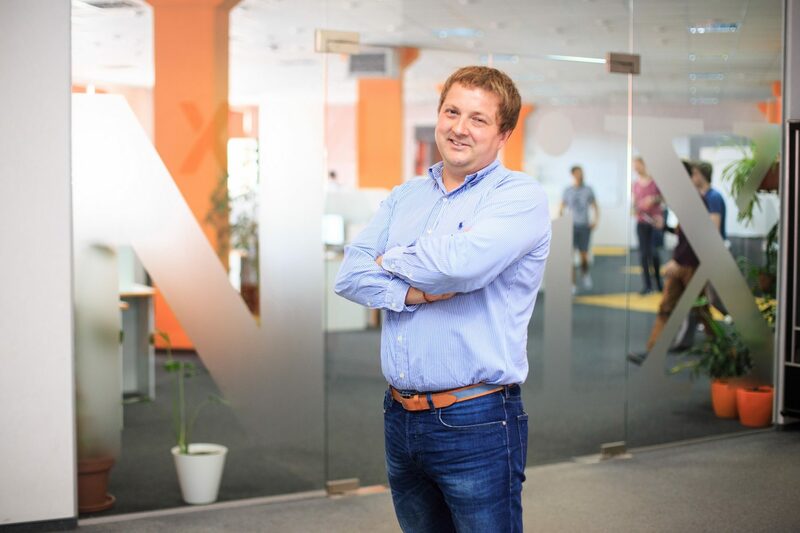 Andrew Pavliv, CEO at N-iX and Supervisory Board Chairman at Lviv IT Cluster, talks about the history and stages of development of the company, the importance of «win-win» agreements and communities, as well as the desire to take his company public. I was born in Lviv in a family of engineers. My parents, both of my grandfathers, and even my grandma were engineers. My dad used to work with cars, and mom — in heat engineering. When you’re growing up in a family like this, you hear a lot about engineering, cars, technologies, and understand that being an engineer is actually quite cool. And there were not so many cool things in the USSR. Anyways, it has definitely become the first important point for me. The second point — my grandpa was a head of the special development unit at The Main Specialized Design Bureau «The Forklift». They used to produce various car lifts and hydraulic constructions. Including space ones — for example, they developed a lunar rover. During the USSR period, Lviv was a huge engineering center, perhaps, one of the key ones. Local research institutions were highly valued. My grandpa was running one of the units. He was involved in developments and participated in many projects. I remember that he took me to work quite often when I was young. When I was in grade 2, I already knew what a pullman was! At some point, my parents had to move to Bulgaria. Their work was related to the export of forklift trucks. Therefore, I was spending a lot of time with my grandfather, and in the summer I’d go to Bulgaria to visit my parents. There I would spend a lot of time at the consulate talking to diplomats. Now I understand that these two things — understanding engineering and being able to communicate with foreigners easily — gave me a good push which helped me develop my current business skills. I never had any barrier, and it was always easy to communicate. Another important moment has to do with school. I studied at the mathematical school №11. We had a great math teacher who not only knew how to motivate us to study but also tried to develop personality traits needed for us to succeed. Originally, I wanted to study something related to Economics or Business at the university, but another important moment changed this. Since I studied at a math-focused school, it was much easier for me to get accepted to Applied Mathematics than to the Faculty of Economics. There was a huge competition there and my parents couldn’t help me. I didn’t get to study at my desired faculty, but now I understand that everything has turned out for the better. It’s very cool that I received applied education connected to math and programming, not a general one — which would only allow me to sell electronics in a store. My student years became an important milestone for me. Moreover, I have always been an entrepreneur. I built my first small business when I was in the second grade. Back then, it was popular to have small paper cars with a wing behind it. You could blow in the wing and race with your classmates. We used to make these cars and sell them. My second project was at the university. Together with a friend, we organized freshmen parties for students from different faculties — lawyers, students of international relations, etc. It was a chance to show yourself out. Afterwards, I had my first job at a company — our task was to sell systems and install programs that allow you to get information about other companies. I had to visit different companies, offer them our system and install it. Once I managed to sell our system to «Svitanok», a company specialized in the glass industry. It was great since I had to communicate with the company’s director, even though I was still an undergraduate student. This was my first experience in B2B sales. At the end of my fourth year at university, in 1998, I got a job in a software company. Back then you weren’t able to get the needed skills at university, so during the whole summer, I was learning the programming language Visual Basic on my own. Now you can often hear the term «serial entrepreneur», and you have this entrepreneurial drive. You have worked at this company for four years, and in 2001 you decided to start your own, right? Yes. I have worked there for around four years, and our projects were quite interesting. However, at some point, I realized that I want to do something my own. I understood I couldn’t just be a hired employee anymore — I wanted to have more responsibilities, and be able to fight with risks and challenges. In the end, the financial aspect was important too. I started looking for other opportunities and even considered moving to Kyiv or some other city. I didn’t find any job offers, but I found a number of cooperation offers. I met a partner from Germany who had the idea to make software for Novell. He owned a small company which was already installing software for Novell. 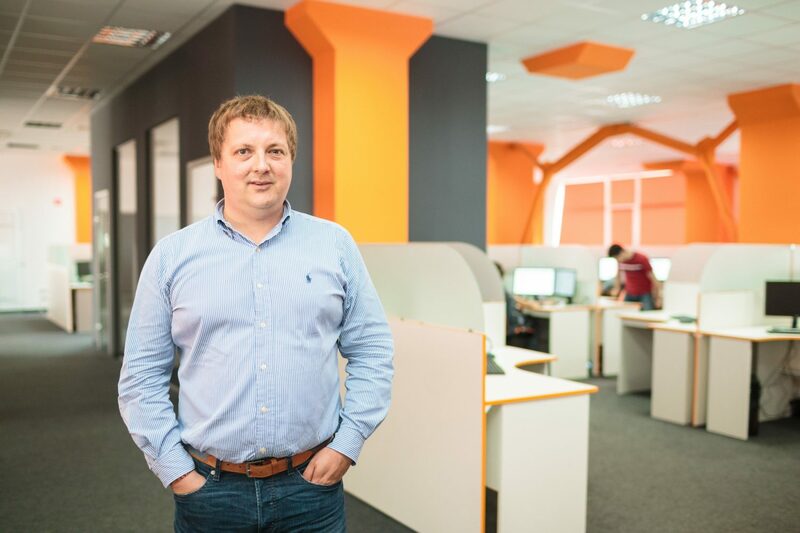 He was looking for like-minded people in Ukraine to develop the software together. After a couple of meetings, we decided to work together. Later, when I saw that things weren’t moving as fast as I thought they would, and the German partner was slowing us down, I took the initiative to invite my colleague Dmytro Kosaryev to join us. So, the three of us started a company called Novellix. This process took several months as we started the discussion in the spring of 2002 and the official launch took place on August 8, 2002. We rented out a small room in the USAID office and started developing software. Our German partner showed us the directions we had to focus on in development. The office where we rented our room, was open from 9h to 21h and we started to work according to this schedule. We quickly managed to create a few prototypes that integrated Linux and Novell. Now, Novell doesn’t really exist anymore, but back then it was rather famous and even competed with Microsoft in some projects. This year N-iX turns 15 years old. How easy was it to develop the company? Yes! We succeeded very quickly. This is probably due to our unlimited energy and the luck of our partners. Our team grew to 10 people and in March 2003 all our technologies were bought by Novell. There is an interesting story behind all this. First of all, their lawyers contacted us and complained about that fact that we sort of used the name of their company in our name — Novellix. The top management of Novell started talking about us. Their Vice President saw what were doing, he really liked it and he immediately initiated the process of acquiring our company. At first, they wanted to acquire the company as a whole, however, we decided that it wasn’t necessary. We sold them our software and signed a long-term contract for further development together with the Novell team. Thus, we renamed the company to N-iX. Moreover, in the logo, we changed the «N» to orange instead of red, but «iX» remained grey as it was in the previous name. Novell became our first client and we signed a very good contract with them. Due to this, the company grew to more than 30 employees. We also signed a number of smaller clients. The same vice president from Novell became our second big client. He transitioned to a Swedish company called StreamServe and became its CEO. They were closing their office in India and were looking for a new software development location. He suggested to start working with us. This is how we became partners. These two companies have been our main clients for a long time now. 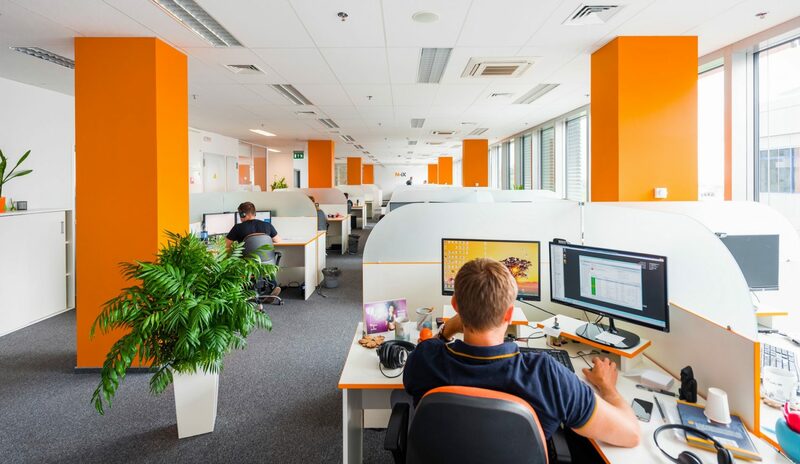 We were developing fast with them — at that time we had 100 employees at the company and almost 60 people worked at StreamServe. We thought this was our point of success, and we existed for a while without additional growth. Then our German partner became quite passive, so we bought his share in the company, which made me the company’s majority shareholder. While all of this was happening, the company wasn’t growing. After the German partner’s share was bought, new risks appeared — in particular, we almost lost one of our biggest clients. We also tried creating our own products: we invested a lot of our personal money, but it wasn’t a very good experience. It was necessary to make hard decisions. I became more active in management and in the last five years the company grew to 6 times its size — up to 700 employees. We started to be actively engaged in the development of business and we’re being quite successful. The first startup was G-Recorder — a product that enabled you to record Skype talks and chats on Gmail. I was working on it for two years, even though I continued working on N-iX. The project was neither successful nor unprofitable, we even merited from it. However, when Microsoft acquired Skype, it made no sense to develop it any further since they also had it. The second startup, which became globally known, was ThickButtons. 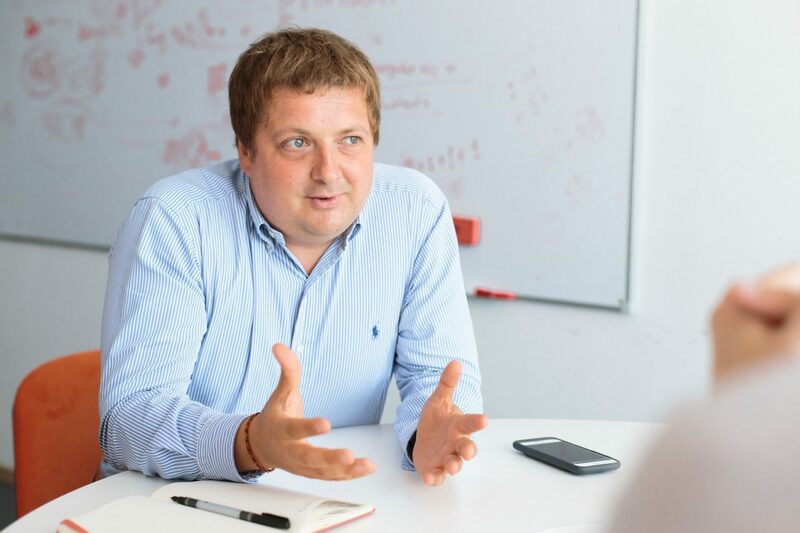 We developed it with Dmytro Lysytskyi, one of the co-founders at GlobalLogic. The technology and the idea were rather simple — buttons on your cell phone screen change size depending on what you’re typing. We developed this technology and followed the hype of the Android launch. We presented it at a conference in California and hired an awesome PR-agency there that introduced us to a number of journalists. We were mentioned in nearly 70 publications in famous media — Wired, PC World etc., we were even on Discovery Channel. At what stage is this startup now? In the technology business, «windows of opportunity» appear when your technology is in demand. The world is changing very rapidly, so usually, there is very little time to polish your technology and turn it into a business. If you are not focused enough on this «window of opportunity», you won’t be able to run a business. We were lucky to take this chance. We wanted to develop this technology, so we patented it. We planned to license it to mobile phone manufacturers. We met with almost all major manufacturers, but the Korean companies Samsung and LG were the most interested in the idea. However, at that point, Samsung had already made a deal with Swype. They already started a marketing campaign so they lost interest in us. So, LG remained. We met with a good venture capital fund in California. They frankly told us: «Guys, you’re not interesting for us, because your business is too small. The biggest thing you could achieve now is turning into a company worth 100 million dollars. However, we know some people from LG, we can hook you up with them». This kind of business networking is a typical Californian approach. So we had a meeting with LG. We presented them our technology and then went to South Korea to work on the product and discuss the contract. LG was planning to manufacture 10 million phones the next year, and we were supposed to get 5 cents from a license on every device. We had been working on that for the whole summer and even thought of making them our exclusive partner. It was a time when Korean manufacturers entered the market and became the giants of the industry. They succeeded thanks to Android. However, the external factors became an obstacle for us. Being unable to agree with Samsung, Microsoft decided to focus on LG. The latter radically changed their strategy and decided to release the 10 million phones that were originally planned to be released on Android, and where our technology should have been installed, on Windows Mobile. Microsoft paid them around 300 million dollars for that. Windows Mobile was unsuccessful, and LG lost a year on the market. Of course, they returned to the Android platform, but that year touch-screens improved a lot, and the problem we were trying to solve was not as pressing as before. ThickButtons still exists, you can still download the app, but we missed that window of opportunity. Fortunately, I’ve never put N-iX aside. Do you think that the number of projects and products defines their quality? In his book about Linux, Linus Torvalds describes the moment Novell wanted to acquire Linux, gives his own impressions of how he visited Novell and shows the communication between the two. His memories are very similar to ours — they loved us a lot too. Big companies, especially those that are on the verge of dying, always love talented entrepreneurs since it’s their chance to get a second wind. The experience you get from previous projects helps to build bigger businesses and see more opportunities. After a few unsuccessful projects, you get better at calculating your moves and doing less stupid things. On top of that, that experience most probably prevents you from doing the “stupid” things needed for a successful project. But the more you try, the better understanding of the market, strategies and business models you will have. I act rather intuitively than rationally and it’s hard to say where this intuition comes from. I have some interesting ideas now too, but I decided to focus on N-iX. The company is already 15 years old, and I want to make it even bigger. The next step would be, for example, creating opportunities for an IPO. And this, by the way, is a good ambition, since currently there are no Ukrainian outsourcing service companies that undertook an IPO. Do you invest in startups? I’ve invested in several projects — I was a co-founder and invested my private money. After my first project IM-history, I understood that you can’t just invest. My partners were developers who were more interested in coding, thus I became a co-founder and was involved in business development. The most interesting thing is that I didn’t come up with the idea of how to finally start earning money — Serhiy Gaziyev did. However, I tried to find other sources of financing, using the standard startup method. I also invested in ThickButtons but rather as a partner. Moreover, I invested in the gaming industry. I did not only invest money in ZadZen studio, but I was also an active business angel. I’m not the kind of person who invests and then doesn’t follow the development at all. We also tried to develop Unshared.tv – a personalized channel for Facebook. This was back in 2010 when Facebook released Social Graph. However, we shut our company down before the Social Graph came out. As it turned out, we did the right thing, because it would have died anyway. This is one of the dangers: when you’re trying to build your business model around one of the giants, they quickly understand it and with one swift move they can stop everything. My latest investment was at the Garage48 hackathon. I decided to double the initial investments for GoBuddy. It’s a product that combines fintech and insurtech in a chatbot-messenger format focused on millennials. GoBuddy’s idea has all chances to succeed on the global market since it offers a new format of insurance services for an audience that doesn’t often think about the need of such product. Are you planning to invest more actively? I find it more interesting if I’m involved in the companies I invest in. I can invest a few thousand dollars if I really like the idea, the team, and the project. I communicate with my colleagues and consider investing in the same projects as they do. I want to contribute. There are some opportunities now. There are more and more companies you can invest in. But it’s a kind of intellectual casino — you make an intuitive decision because you feel a certain trend. We have invested in several N-iX clients because we believe in their product. Currently, we’ve joined one interesting company which is developing a coach for American football using VR technologies, in particular, motion tracking. This is a serious development and it looks like they’re making a unique and interesting solution for the market. We agreed to invest in them with our services and now they mention us as their partners in every interview. These are the quick benefits that are interesting for N-iX, but in the long run, you can get much more. It’s impossible to be actively involved in 20 projects. Our time is limited, therefore you have to focus on one thing. Yes. There are two main models that can be used. The first one — to invest more money in a smaller number of companies and get involved more in their processes, and the second one – invest, for example, 10 thousand in 100 different companies. People often like to call themselves investors, it’s a trendy word nowadays. I sometimes do small angel investments, but I don’t call myself an angel investor. Angel investors — are very systematic in their investments. For me, it’s rather an expensive hobby. This way I meet new people and help others develop. Let’s go back to the project you were developing at the same time as N-iX — ZadZen Games? At what stage is it now? It’s a separate studio, which is actively working now. We’ve made one gaming product, and basically, it was kind of successful — it was downloaded 3 million times and became the «game of the year» in its category in South Korea. However, «free to play» games are one of the most difficult products. Clients need to be interested and happy, but on the other hand, they also need to be ready to pay. It’s a complicated monetization model. For example, our product has awesome graphics and it’s interesting to play, but financially it didn’t turn out to be profitable. You have to understand that in the gaming business you immerse a person in the virtual world, thus it has to create emotions that will make people pay for the game. A game won’t solve a problem as software, but it has to make you happy and miserable, make you fail some levels, and keep you interested so you will continue to play. However, I’m more an investor here. My partner, who manages the studio now, lives in the US. He says that people pay for their sins in games. They are lazy and want to pay. If someone else wins, they want revenge. It’s complicated. The studio is now developing and it has a fixed business model. We provide services for other studios and are working on a few new products that will hopefully be successful. It’s a self-sustaining business and in four years we have already learned a lot. If you look at some successful products of other studios, you can see that they have done hundreds of products before. This means that the companies experimented a lot before they succeeded. The rule «quality comes from quantity» works in the gaming industry. For me, interestingly enough, this investment worked from the point of view that when we failed a game at our studio, a few people quit and some of them now work at N-iX. We have a game development department here and work on our own products, like VR-gaming. N-iX works in a number of industries: gaming, VR, fintech, healthcare, aviation, etc. What are your priority directions? We work in a number of different directions because there is a demand from our clients. We have the right experts in our team. If there’s a trendy topic, we immerse in it and develop new competencies. With 15 years of experience and great employees, we are a good partner for companies looking for opportunities in digital transformations. It’s a huge trend that has already been noticed in many industries. In the end of 2014, I spend a week following an executive course at the Singularity University. It’s an institution that promotes and analyzes all innovative trends. Great futurists such as Raymond Kurzweil stand behind it. They are trying to transfer this knowledge to the masses. I learned a lot about new trends there and got an idea in which direction things will move: fintech and blockchain will be developing, the automotive industry will be transformed into self-driving, agriculture will become more and more innovative, there will be a lot of changes in logistics, etc. This has probably become a good push for our company. We are actively trying to understand the trends of this innovative world and we know that we are a good educational partner for companies that do not have this knowledge. When agricultural companies, for example, have a lot of data and want to work with Data Science, Machine Learning or computer vision, we know how to help them. They need to analyze data and make decisions based on it. We understand that the potential of this industry is huge and we already have our first clients. We have a big portfolio in fintech, it’s one of our key directions. Game development and virtual reality also interest us a lot. Gaming is a separate world, but if you look at virtual reality, you understand that the window of opportunities in this technology may already close next year. Take us through your most interesting projects. I immediately want to mention VR again. The coach for American football is one of our most innovative projects. In general, we have several projects in the VR category. The problem here is that training quarterbacks in American football is very expensive. In order for them to train, the whole team must be running. They cannot train themselves, and this is a big problem. VR gives them a chance to train by creating different gaming situations. Basically, it’s like a computer game, but the script is written by the coach. A player throws an imaginary ball in a room and the program calculates all the data as if this situation occurred on the field. This allows training a player without involving the whole team. A player has to wear a special suit with set up motion tracking. I don’t know how much it will cost — probably a few thousand dollars. However, it will still save more than half of the original cost. Digital Pen is another interesting and innovative project. The company has developed an electronic pen that writes on paper, memorizes everything written and transmits it to a computer. We have been working with this company for a long time and are their technological partner. We are proud of this product. Currently, we are working with Gogo, one of the leaders in inflight internet in the USA. It’s a company that provides internet on airplanes. They partnered with Airbus, and now Airbus offers their antennas as an option on airplanes. If a company wants to provide internet on its aircraft, they can install Gogo. This is an interesting project because the quality of internet when airborne depends on weather conditions, terrain and many other factors. We are working with analytics: while the plane is flying, we analyze all data in real time and look where the antenna is currently connected. Another client of us is a huge telecom provider from the UK. We are making a big digital transformation product package for them. It’s a company that sells sim cards for calls home, they focus on immigrants in the UK. They have a whole line of products oriented on the needs of immigrants. We started working with this client based on our expertise in fintech. The first product they wanted to develop is a solution for transferring money home. This is logical since expatriates often want to transfer funds home. And if you have an account of this company on your phone, you can do it not through the bank, but through them. We built this solution. The second solution — insurance. This project is not something technologically innovative, but an important one since the company is well-known in the UK. According to research, by 2020 there will be 1 billion migrants around the world, and they aim to become the main telecom company for this audience. We are currently also working on attracting customers from the automotive industry. We are developing this area, expanding our R&D department and want to work with such clients. It’s been a big trend in recent years, and we are confident that we can work with them. How would you describe a typical employee at N-iX? The typical N-iX employee is smart and ambitious. Our employees are good at analyzing and making decisions that can lead them to success, both from a financial point of view and personal development. We are trying to provide all conditions for growth as a company. But, again, N-iX is not all about «benefits». Our goal is to create good conditions: interesting projects, direct communication with clients, competitive salary, developed competencies, professional colleagues you like to work with and share experiences with. If you are smart, you will take advantage of that. And as they say, no pain, no gain. In total, there are nearly 700 employees working at the company now. The majority — 550 people — are based in Lviv, and more than a hundred in Kyiv. We are already 20th in size in Ukraine and we have the ambition to enter into top 10 Ukrainian companies by the end of 2018. Moreover, we have small teams in the USA, Sweden, Poland, and Belarus. We do understand that we actively have to increase the number of employees in Ukraine because we see great perspectives here. We have our own delivery center in Minsk and are also considering this city as a good location for further development. Does Ukraine have more talented people? Yes. We have a lot of talents and many people are studying to start a career in the IT industry. Right now the tech sphere is really popular here, and it is constantly being promoted. 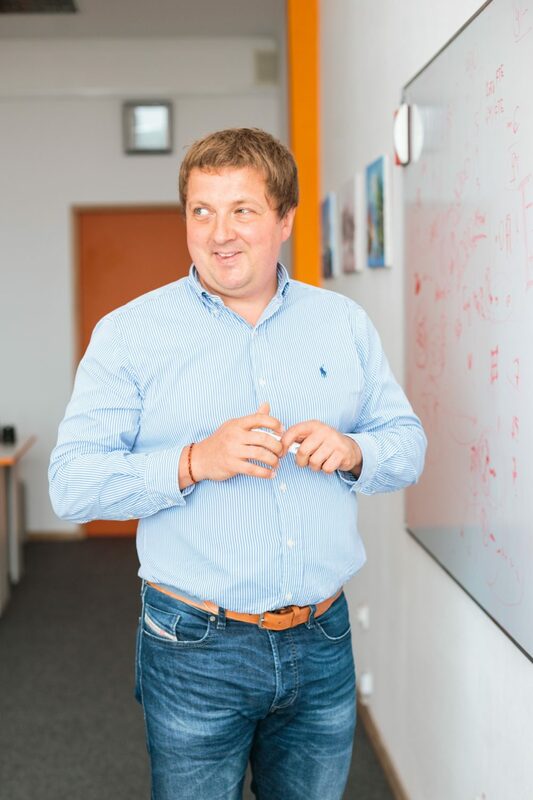 During the last two years, I have been a Supervisory Board Chairman at Lviv IT Cluster, therefore, I understand all these trends. Currently, there are 130, 000 IT specialists working in the country. Our aim — 200, 000 by 2020. 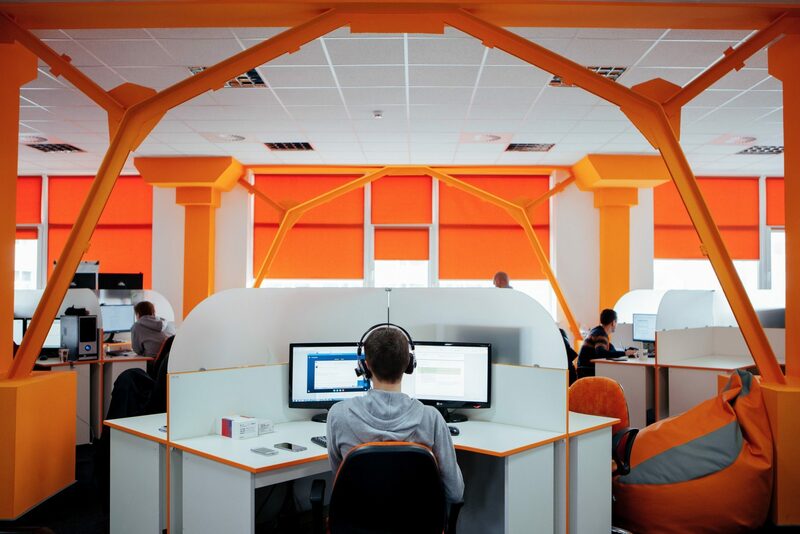 It is estimated that 18, 000 IT specialists work in Lviv, and our goal is to double this number by 2020. I don’t know if we can do it, but we have set this goal for ourselves. The IT trend is developing really fast in Ukraine. A lot of people want to work in the industry, new degree programs are being launched… This is our advantage over other European countries because they have other opportunities. And for many engineers here, IT is a great opportunity to find a decent job. In one of our previous interviews, we have mentioned that the IT industry creates «social elevators» for talented and proactive youth. Earlier, Economics, Law, International Relations were trendy, and now the IT careers are. What do you think about this change? I completely agree. 6 years ago the first TEDx conference was held in Lviv. Mykhailo Lazor and I were invited to speak there. We started to think about the topic, reread the concept of the project, understood what TED is, and proposed a simple idea that in our opinions was worth spreading: «Choose IT». It was a very simple idea, but it definitely had a huge social impact in Ukraine. When I’m asked about the company’s social responsibility, I always say, «What we are doing is already a big social responsibility». The working environment in which our employees work and live has a profound effect on society. They have different values, they know how to communicate, how to work with foreigners, have learned different ways of doing business and have other business ethics. As one of my friends jokes: «In families with IT specialists, a cop or a customs officer will never be born». In families with IT specialists, a corrupt person will never be born. The more employees such companies have, the more noticeable the changes will be and the more tangible impact they will have. We don’t just say it’s due to IT professionals. We can also talk about marketers, HR managers, etc. This «social elevator» is really very noticeable and spreads very fast. It creates an opportunity to make money quickly with the help of your brain and hands, which in other spheres, even in corrupt ways, would take more time. Employees in the IT field don’t think about corruption opportunities, but about development — they are looking for new skills, participating in conferences, etc. They form the creative class and consume the products made by this class. This way, they are changing their environment. They have enough money because they consume creativity. Dublin had a very similar story. It became a creative city after the arrival of large tech companies. Therefore, if we talk about our social mission, we’re forming the bulk of local consumers of products of the creative class. They want creative approaches in restaurants, at work, in leisure. One of the negative things we often encounter is the inability to negotiate and find consensus. This applies to the media, and often to civil society and politicians… In this matter, Lviv IT Cluster is a surprisingly positive case. How did the Cluster come to life, and do you manage to get a win-win cooperation now? 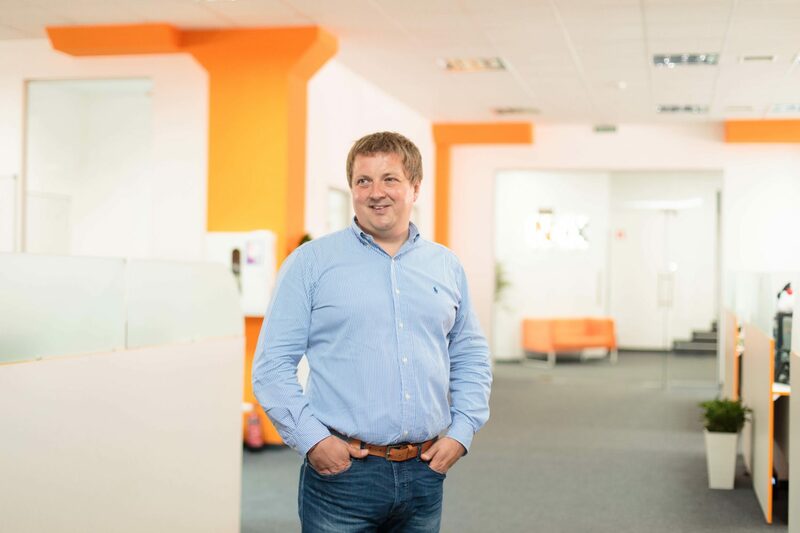 Lviv IT Cluster is one of the good examples of an agreement based on the «win-win» principle. SoftServe and Eleks invited us to the initiative of launching the Cluster, and N-iX became its third founding member. It is easy to negotiate when there is a common vision of the future. It’s easier for us to agree on the future than on the present. We were well aware that our local companies are limited in human capital. The more talented IT professionals are in the city, the easier it is for companies to grow. Yes, sometimes we compete with each other for our clients, but more often we compete for talent. The Cluster’s activities are not aimed at business development, and it’s not an association that will help us to develop a joint business. Of course, if there were any large global projects that would need a lot of specialists, then it is possible that the Cluster can become the basis for its implementation. But when we started this project, it was based on a simple idea — the development of human capital in the city. Each company could do it separately, but we clearly understood that joint efforts would be much more effective. We faced the need of modernization of the local IT education and the promotion of the idea of becoming developers. We once analyzed the conversion rate. There are good schools in Lviv with a high level of teaching mathematics. These schools have graduates with excellent grades in math. We tried to understand how many of these graduates continued to study at the faculties for developers, and how many of them became programmers after the university. It turned out that 10% of university graduates continued to work in the industry. Now, this number is about 50%. Another barrier in IT was connected with the English language. Therefore, one of the first steps of the Cluster was launching English courses at universities. We understood that we have to make students realize how important it is to speak a foreign language. It’s one of the requirements of this profession. One of the key goals of the Cluster — is the development of education and human capital. Many companies see this as their social responsibility. We also actively work with students. During the last year, we visited 80 schools: 50 in Lviv and 30 in the region. We choose schools in accordance with the final exam grades the students get in math. If the school has good grades in math, then there is potential and we encourage them to develop. All good students automatically become good candidates to come work in our industry. Developers who already work in the IT sphere should feel needed in the city. They have to feel comfortable in Lviv. It is important that they stay in the city, and even better — encourage their friends to move here. Therefore, we create projects to improve the quality of life, for example, IT Jet, connected to the facilitation of flights. As soon as a person’s income grows, they become much more mobile. This profession allows its employees to work from anywhere in the world. In order to keep this human capital, we initiate such projects. This is our next goal – the development and retention of human capital in the city. This mission and tasks have allowed us to come to an agreement. We do not compete with each other, but with potential competitors — big companies that may move here. How important is Lviv in this process? I know that there are IT clusters in other Ukrainian cities, but as far as I understand, they are not so big and influential. First of all, in Lviv, this process has begun faster than anywhere else. Secondly, a lot depends on a cluster’s strategies. Our strategy is very ambitious. In Kharkiv, as far as I remember, during the first year, they were solving security problems and existed rather as a lobbying organization. There was no need for something similar in Lviv. We are united for the sake of development, and this is a great advantage. We are always in dialogue with the local authorities. However, sometimes it seems to me that we are still communicating too passively with them. We have a few infrastructure projects — IT Park and IT House. They show that IT professionals in the city are respected and encouraged to stay here. It is difficult to say what the situation in the industry would be without the Cluster. Anyways, it’s really good that it exists. (Laughs) There are already more than 60 participants in the Cluster, and the organization is actually still growing up. If we can keep up with this speed, it would be cool. Lviv would probably be a typical «average» IT city. Now Lviv is ranked second among the best Ukrainian IT cities. And from the point of view of career opportunities here, it might even take first place. The Cluster makes the city more attractive and combines efforts in larger projects. What was the role of the Cluster in launching this program? We provided our expertise and specialists. The Computer Science program is a UCU program, but many Lviv IT Cluster member-companies grant students scholarships and support this program. You can already see the impact of this program. Right after it was launched, other big universities including Lviv Polytechnics and the Ivan Franko National University of Lviv became more active. The new programs were launched not because they asked to «do something for them», but rather to «help them». Changing the paradigm of communication with universities has probably become the main achievement of this program. They realized that we don’t owe them anything, but that we are just happy to help. I believe that if university curriculums here will keep being modernized at this rate, in five years Lviv could boast a very good IT education. And this is also an important factor in keeping IT professionals here. We see that kindergartens are developing, new good schools are being opened, but our university curriculum is not yet very competitive yet. Therefore, when it comes to universities, education abroad is often considered. And since developers are very mobile, they can use their child’s education as the reason to emigrate. This is something we want to avoid in the future. I think that success is a very personal thing, an estimation of how and if a person has realized his goals and dreams. If you feel that you have realized what you wanted and are living a balanced life then you can consider yourself successful. However, the criteria for success would be different for a scientist and an entrepreneur for example. What if you look at this from the N-iX CEO’s point of view? I have become a serial entrepreneur, but I believe that I have some unfinished business at N-iX. If we take into account the company’s potential and remember how we started, we could have been 5-10 times bigger by now. N-iX is a successful company, but I would like to see it grow to a 100 million company. I have the ambition to make the company an IPO. If this succeeds, I will say that the company is successful. Then it would be a real business success. In our model of entrepreneurship, success means both financial success and the projects created by it. It’s a business, and you need to be financially successful. The success model for entrepreneurs raises some questions. I see that the role model of success, when you built a company from scratch, is still not very perceptive. Entrepreneurs are trying not to advertise their financial success since it’s not yet socially acceptable and not very safe. What social impact would you like to achieve? Ukrainian company is going public. This is my goal for the next 5-8 years. But we will be thinking more about it at the end of 2018. It’s an ambitious goal. It could make a great impact. People would say «he made a company from Lviv an IPO». It’s difficult, but it’s awesome. Because doing it in California is much easier. More than taking the company public, I would like to go back to startups. We have a development plan for the company by 2018 and there are specific goals we want to reach. If we achieve our goals, we will open a window for opportunities to go public. Then we will have to make decisions. If you start as an IPO, you basically tie yourself to a big organization for 5 years. I’m more of a technician than a manager. Thus, I can already say that this kind of future seems too boring for me. I would rather be making a virtual reality gallery for artists and be more satisfied. Do whatever you want to do. Let the big ideas, not pragmatic goals, be the drivers of your business. This way you will find more happiness in life and be able to find your true self.